I recently spent 5 days in Byron Bay, a beautifully chilled out beach town in northern New South Wales with a decidedly SoCal vibe. I can report that its popularity is justified: Byron Bay now ranks as one of my favorite places in all of Australia. 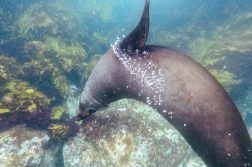 In my opinion, Byron can be done in 3 days – and ideally as more of a relaxation retreat than a sightseeing trip. Don’t plan too much in advance, but rather see where each day takes you. 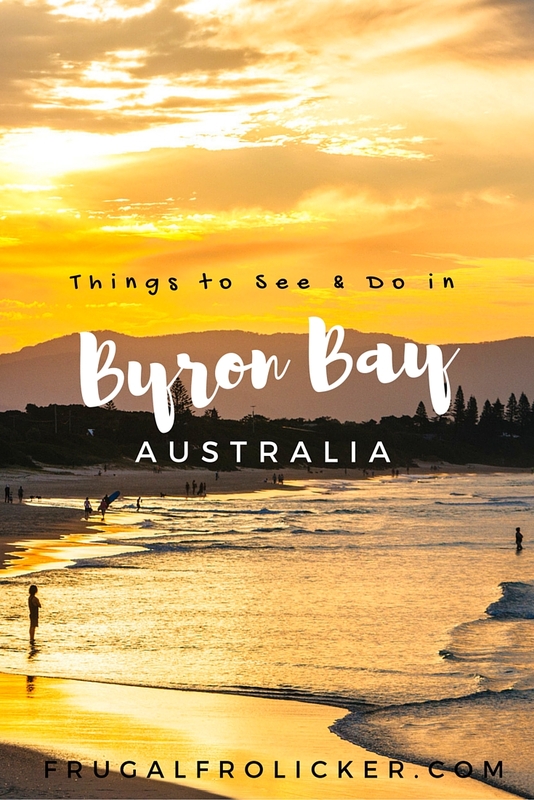 Below is a collection of places and activities in Byron Bay that I think you might love. 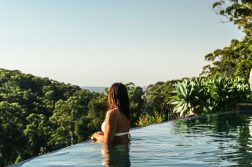 My hope is that you’ll refer to this Byron Bay guide in the moment while you’re looking for something to do or somewhere to eat. Balcony – This venue is gorgeous, classy, and not where you want to go if you’re on a budget. Balcony does fish, oysters, and cocktails exceedingly well, best enjoyed out on the wraparound balcony of course. My chef friend went nuts over the steak and Cabernet Merlot here. In The Pink – This shop has ridiculously good coconut gelato flavors, quite possibly the best I’ve ever sampled. 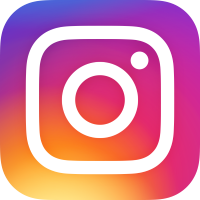 Folk – If you’re in need of some instagram fodder, go to Folk. This cafe is insanely cute and open-air, with seats on the patio, in the grass, and on a picnic blanket. Great coffee (including the coconut cold brew), delicious breakfast dishes (albeit with small-ish portions). I loved my chia seed porridge laced with warm apple cinnamon goodness. 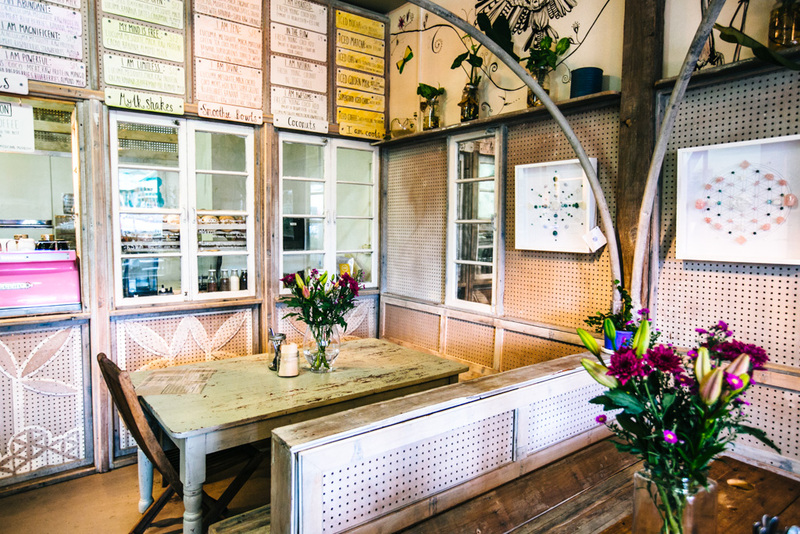 The Top Shop – A little outpost on a hill that does killer breakfast burgers and acai bowls. I went for the acai bowl with berries and cocoa nibs. 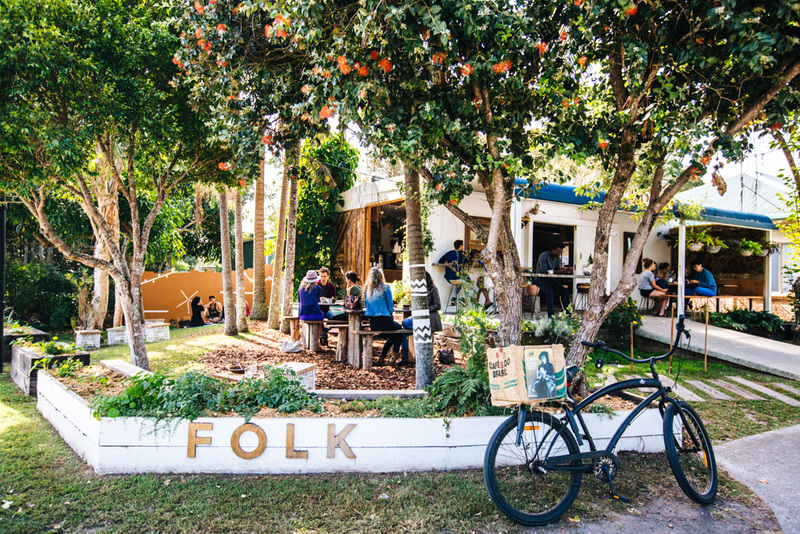 Bay Leaf – This cafe does the best coffee in Byron Bay. If you’re a coffee snob with stamina, try the coffee tasting plate containing several of their hit coffee options. They have a beautiful open air space across two rooms, a bar, patio, and sidewalk – it’s the kind of place you could easily wile away an afternoon, sitting in the sunshine and chatting with the super friendly staff. I tried both the lamb salad and avocado on sourdough and both were incredible. 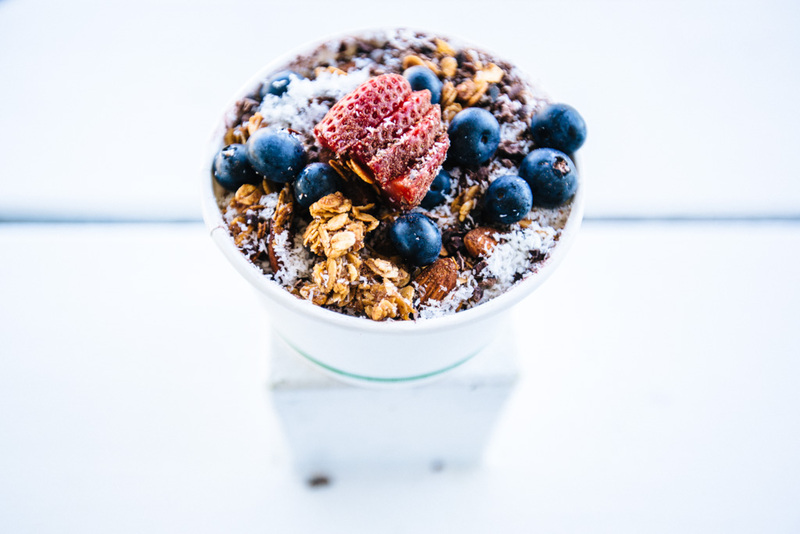 Naked Treaties – Smoothies and smoothie bowls made with all raw ingredients (some even include medicinal mushrooms!) are the jam at Naked Treaties. The *I Am Divine* smoothie bowl was… well, divine. 100 Mile Table – You don’t see this one pop up on many other *where to eat in Byron* lists, so let me clue you in on this secret spot. 100 Mile Table is located in the Arts and Industry Estate a few kilometers out of town (a bit further out than Folk) and it’s where the locals hang out. Everything is locally sourced (hence the ‘100 mile’) and served in a modern industrial style cafe. The gluten free / dairy free banana bread with macadamia nut butter is downright heavenly. And BONUS: it’s a great spot to sit with your laptop (spacious long table + plentiful outlets = digital nomad heaven). Treehouse on Belongil – Treehouse is right across from the Belongil Beach parking lot and about a 20 minute walk from the town center, but don’t let the location dissuade you: this is a fantastic lowkey spot to hang in the evening. Go there and order pizza for dinner, then stay and enjoy the live music that’s on most nights. 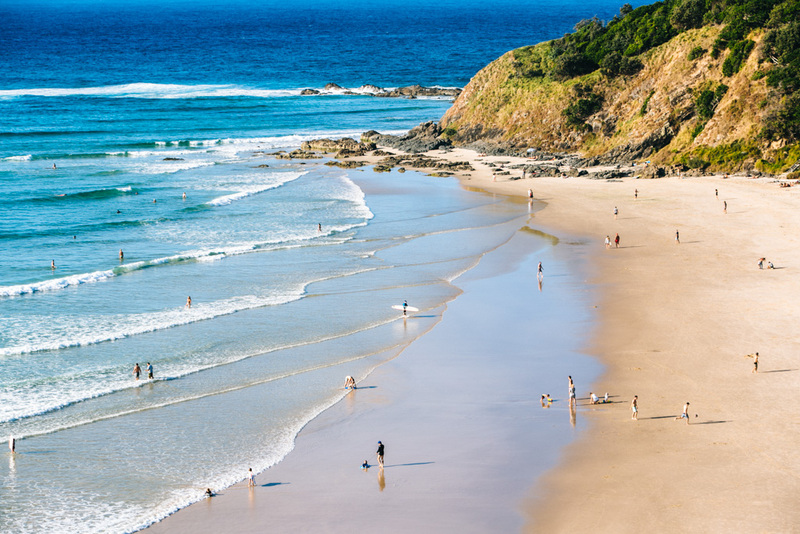 Hit the Beach – Byron’s blessed with 30km of beaches, every bit of it gloriously undeveloped and under-touristed. 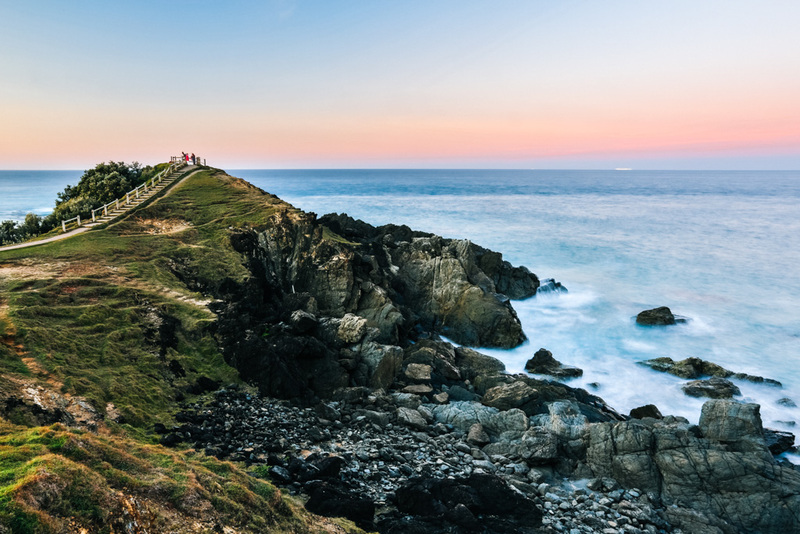 With most of the beaches facing north, you can watch the sunrise over the Cape Byron headland and the sunset over the hinterland. 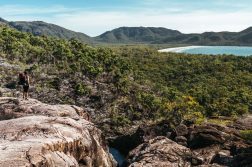 Cape Byron Walking Track – This 3.7km loop is VERY worth doing. It takes you through rainforest, up to the Cape Byron Lighthouse and the eastern-most point of Australia, and back down along the coast. Be sure to walk out to the rocks by Little Wategos Beach. 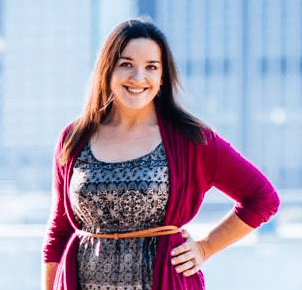 Yoga – There are plenty of yoga studios to choose from in Byron. I loved the flow class I took with Geoff at Ananta Yoga. Learn to Surf – Surfing is THE thing to do in Byron Bay. 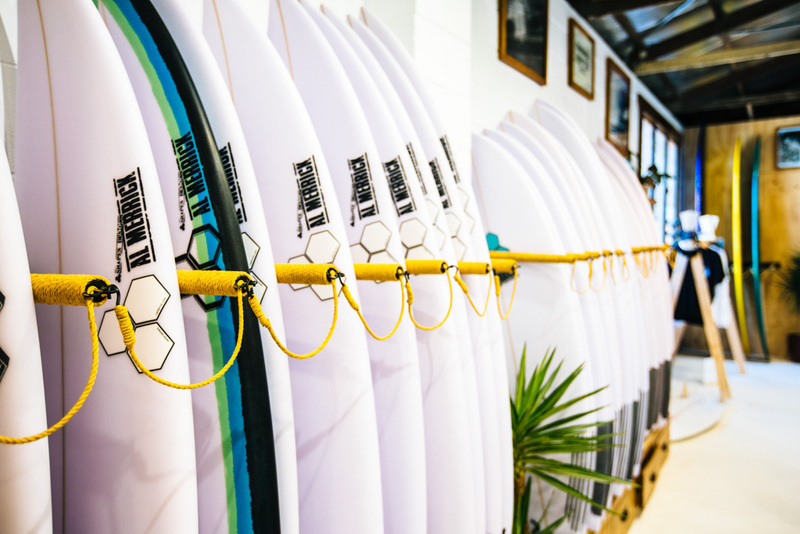 You’ll have no trouble finding a surf school or board rental shop around Byron (alternatively: you can take a SUP lesson or rent a paddleboard). Shopping – Both thrift stores and beach chic boutiques are sprinkled around and outside of town. Even if you’re not in the market for pricey artisanal goods, some of the shop displays and homegoods are too pretty not to stop and gawk at for a second. Daytrip to Nimbin – Nimbin is where you go if you want to buy marijuana in any which form (including cookies and cake) or witness the hippie subculture. 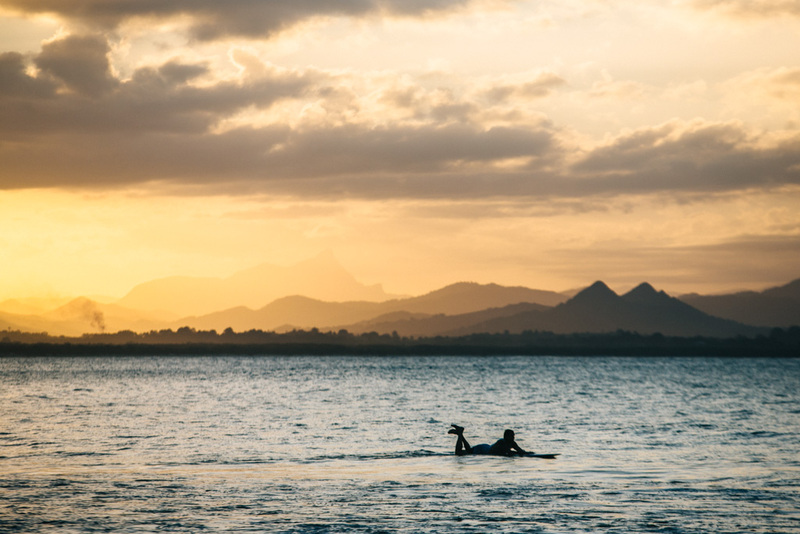 Kayak With Dolphins – This is one of the touristy must-dos in Byron, but well worth the effort if you’re eager to see some dolphins – apparently they’re almost always around for these trips, so you’re unlikely to come back disappointed. Explore the Arts and Industrial Estate – This area just north of town hosts numerous galleries, cafes, and shops and makes for a fun afternoon of offbeat exploring. Festivals – Byron Bay has some pretty well known music festivals which you may want to plan your trip around. Of note: Splendour in the Grass (July), Byron Bay Bluesfest (Easter), and Falls Festival (New Years). Buy tickets well in advance and plan to camp. Byron Beach Resort – This is such an underrated gem for accommodation in Byron. Firstly, it offers a broad variety of accommodation options as a hostel/hotel hybrid, from dorm beds and budget rooms to en suite hotel rooms with a balcony and jet bath. It was especially ideal for me as I shared a private hotel room with a friend for 2 nights and then switched to the dorms once I was traveling solo. 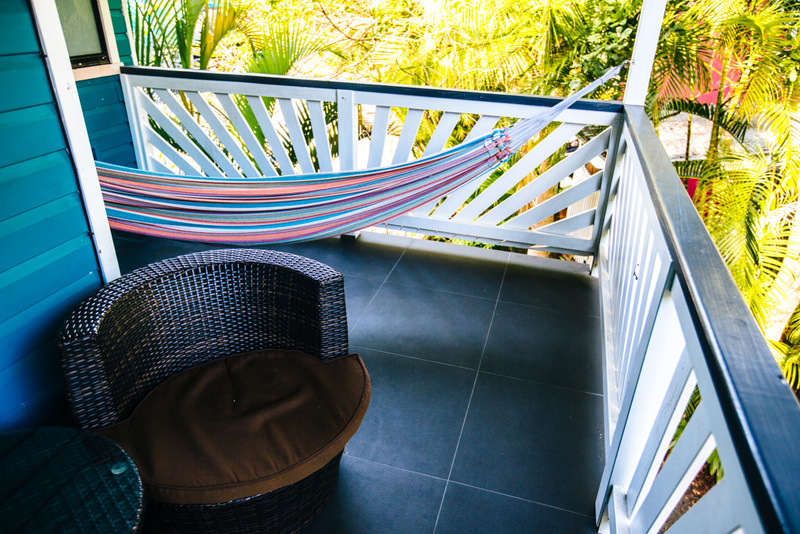 With hammocks hung all over the property, an onsite yoga studio, and free bikes to use, I was pretty much in my element at the Byron Beach Resort. Location-wise it’s a bit out of town, but it’s easily reached via a 20 minute walk down the beach (or alternatively, the free shuttle). On the plus side, Belongil Beach is 2 minutes across the street, Treehouse at Belongil is nextdoor, and Folk is a quick bike ride away from town. 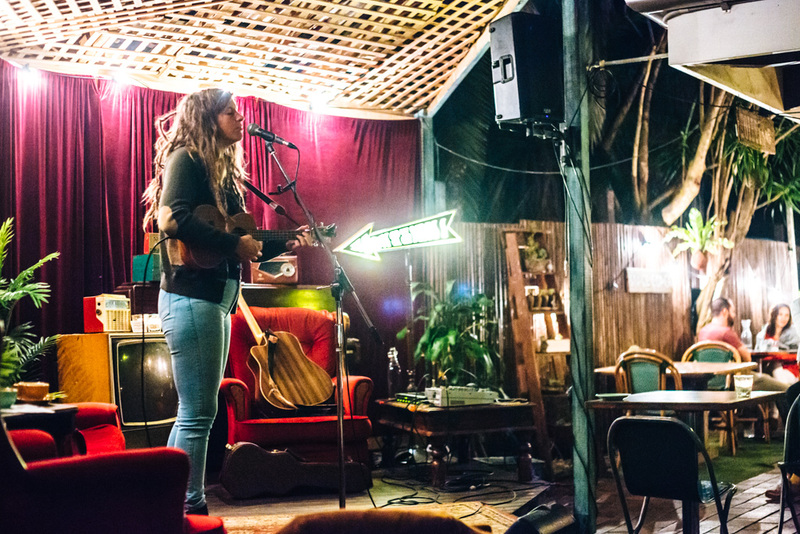 The Arts Factory – Universally beloved by backpackers, this hostel has an onsite pool and offers standard dorm rooms as well as beds in a teepee. It’s also situated right by the Byron Bay Brewery. The Germans I roadtripped with last year told me I absolutely had to stay at this Byron Bay hostel – they loved it there so much that they ended up living there for several months! So I’d say if you’re really into the backpacker scene and keen to meet people, stay at the Arts Factory. The Atlantic – If you’ve got money and style, stay at this new-ish boutique hotel. I normally wouldn’t plug an expensive accommodation option, but I feel like the Atlantic is worth mentioning because they have a a vintage Airstream available for booking as well. 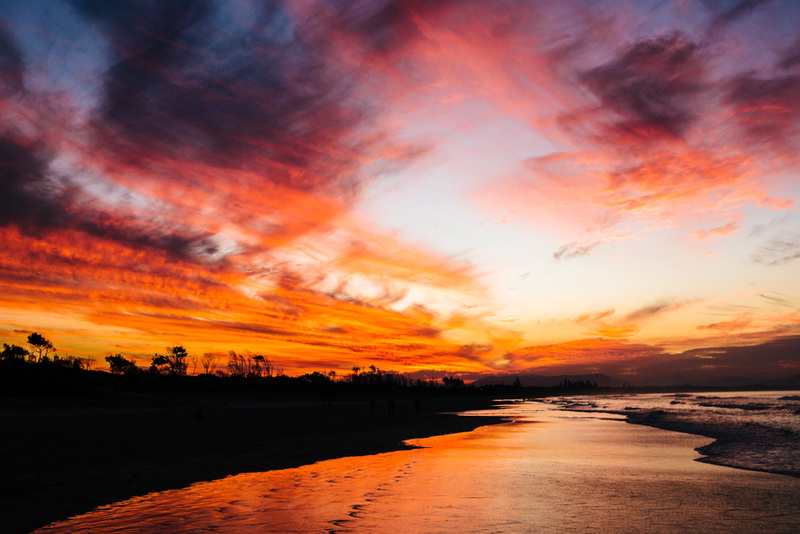 What else would you add to this Byron Bay guide?